It's December! As the end of this year approaches we enter the season where generosity and charity prevail. And as you're looking for ways to spend your spare cash this holiday season, I have a few suggestions. 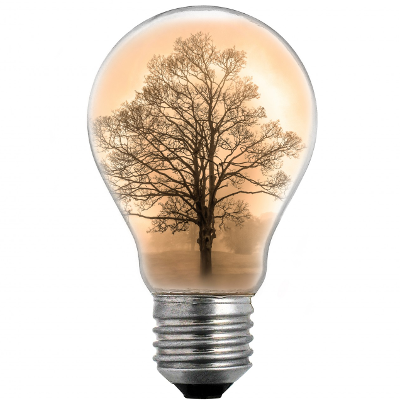 If you're like almost everybody, you've benefited all year long from certain "free" websites. And there are some you've possibly never heard of, and should get to know. Wikipedia, the Internet Archive, Project Gutenberg... these form the backbone of a vast repository of information that has largely supplanted the old-fashioned Public Library. And while there's still a place for the Public Library, these on-line sites are the resources you actually use. These sites cost millions of dollars to operate, though they cost you nothing to use. And those millions of dollars are donated freely by millions of people who are willing to donate a few bucks each, annually. These are truly public resources, by the people, for the people, without one single coerced dollar spent. This is what it looks like when you set people free. Give yourself a gift and help them operate for another year. Here are my top picks. Feel free to throw a few bucks anywhere you like. Click on the site name to go straight to a donation page. Wikipedia/Wikimedia. This is the premier reference library of the Internet. It is the 7th most visited web resource in the world. You would think that with traffic like that, the founder of Wikipedia, Jimmy Wales, would be some Internet multi-billionaire. Nope. Wikipedia doesn't get a dime in advertising, because that would subject them to the control of advertisers. The Wikimedia Foundation is bigger than just Wikipedia, though. It operates the Wikimedia Commons, WikiQuotes, WikiBooks, WikiNews, etc, etc, etc. If that's not worth your support, nothing is. Wikimedia projects are publicly led, which means that you can participate not just with dollars, but with time. They need photos and sounds for the Wikimedia Commons, articles and editors for Wikipedia articles, etc. Project Gutenberg. If Wikipedia is the reference library of the Internet, Project Gutenberg is the stacks. Project Gutenberg's mission is to publish Public Domain books in plain-text formats that will outlast current technologies and current generations, and to get them into as many hands as possible. Information so disseminated is effectively immortal. The benefit for you is that you have access to timeless classics in compact compact formats readable on any computer or mobile device. Everything from the Bible to Zen, Astronomy to Zoology, Aristotle to Shakespeare to Zeno. And like Wikipedia, you can help more directly, by scanning, proofreading, correcting, and submitting additional works. 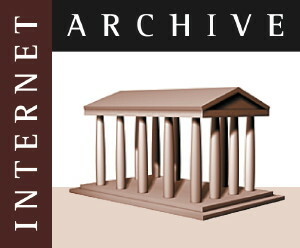 The Internet Archive. This is a truly astonishing site. In addition to millions of books, videos, classic movies, software titles, images and concerts, they back up the Internet. You read that right. 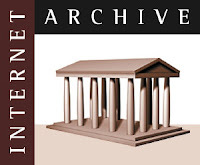 Using The Internet Archive's "Wayback Machine" you can view a snapshot of a website as it existed in the past. So even if that "page you liked" has been deleted from the original website, the Internet Archive has it for you. It is effectively the digital memory of this planet. Obviously this takes an insane amount of resources, and they all cost money. And it's all done without ads, without strings, without tax collectors, by generous people operating in their individual and collective best interests. Creative Commons. The Creative Commons Corporation provides legal research, advice, advocacy, and activism around the world to encourage the use of simple, commonsense open licenses. Copyright can stifle creativity, and smart creators know that just as any society is built on the sum of its previous efforts, their own work does not suffer from being shared. Creativity is not a zero-sum game where the creator is diminished when his efforts are multiplied. Unfortunately our existing copyright laws are based on this flawed assumption, ignoring the original intent of limited exclusivity for a reasonable and finite time. 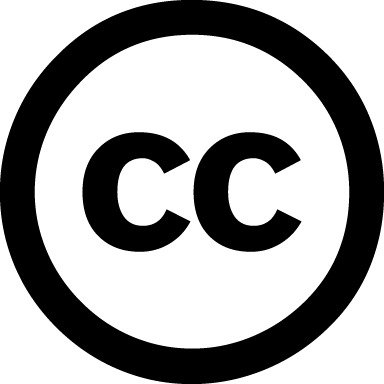 Creative Commons' legal efforts allow those who know better to contribute their efforts to the world with minimal restrictions. Well worth a couple of bucks if you appreciate anything else on this list... they're all efforts in that direction. Individual Content Creators. Unlike the resources above, YouTube (a child of Google) does operate with deep pockets from advertising revenue. That's not true of many of the content providers, though. For every "YouTube star" there are many thousands of people uploading and creating original content without tangible reward. Many of them deserve fame, but they will never get it unless they can get over the hurdles of production costs and sustaining their art until they find an audience. If you have found a creator who entertains you and who brings you back time and again, donate. They should have set up a Patreon account or some other donation method (Paypal, etc.) If they haven't, suggest it. The same goes for musicians and filmmakers. Help Kickstart a movie, project, or product. Buy Indie music or finance an album for an up-and-coming artist. And More. Help a teacher. Feed hungry people. Buy a toy for a child. Invite someone into your home for the holidays. Remember, 'charity' literally means 'love', so you decide. Do some of these, or do them all. You don't have to do it all at once, you know... there are 365 days in a year. Use them wisely. Just remember, whatever you're celebrating this season, be it Christmas, Chanukah, Kwanzaa, Festivus, something else, or just the advent of longer days; when you celebrate by making the world better for others, it's the world you live in, too.